A wall of windows offers passersby encouragement to stop and look. Until now, the company's Automobile Technology Research Division operated out of a tall office building in the Detroit suburb of Southfield, Mich., hidden from public view. 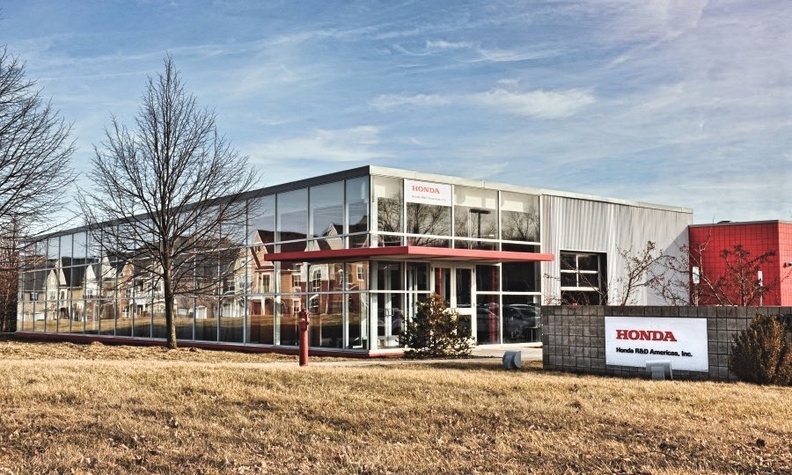 But Honda engineering personnel are now staffing up a newly opened "garage" in Ann Arbor, Mich., selected because the building visually opens up Honda's operations to outsiders. The garage is a single-story building banked by a wall of windows intended to encourage people walking by to look in and see what the engineers are working on. "We will literally welcome people to come inside," said CJ Saigusa, chief engineer of the Mobility Collaboration Garage. "We want to tell people that we are interested in working with them." Honda carried the news to industry engineers last week at WCX, SAE International's annual engineering conference here, giving presentations and telling attendees of its interest in enticing suppliers and technology startups to help it develop its mobility business. Honda moved into the garage last month and has only one project underway so far. It expects to encourage startup ventures, individual tech developers, academics and graduate students to work in the garage's available space and use the tools it's providing. Eric Blumbergs, principal engineer with the Automobile Technology Research Division, said the automaker needs ventures with new ideas in mobility. But the definition of "mobility" is broad, he emphasized. The company told its engineering audiences that the field includes artificial intelligence, advanced tooling, human-machine interface and robotics. The garage is creating a website to allow interested companies to submit ideas and proposals to work with the automaker. "We've never needed to build a website for what we're doing," Saigusa said. The venture is small — only about 20 Honda employees for now — but the garage is a symbolic sea change for Honda in the U.S.
Honda long prided itself on its self-reliance and independence, resisting mergers with other automakers, producing many of its own vehicle components, manufacturing its own factory tools and robots, and even creating its own vehicle prototyping operations to avoid exposing itself to the scrutiny of Detroit prototype firms with old-school ties to Honda's rivals. Saigusa smiled at the thought of that tradition. "We're doing things differently now," he told Automotive News. "Things are happening faster. We can't do everything by ourselves anymore."